Exynos processors are the homegrown chipset of Samsung and it releases most of its phones with its own processors in them. But now these processors might be seen in phones other than Samsung. Motorola, which is a smartphone manufacturing company owned by Lenovo has been reported to have been making phones with Samsung’s Exynos processors in them. In the past Motorola has put many different SoCs in their phones like the Qualcomm’s Snapdragon or the MediaTek chipsets. But it will be the first time Motorola phones will be coming with Exynos processors. According to a recent report, Motorola has been working on two new smartphones which will have Samsung’s Exynos chipsets powering them. And among the different series of Exynos processors they will have the Exynos 7 Series 9610 processor and will have Android One in both of the phones. Exynos 7 Series is the mid-range processors, which Samsung puts in its own mid-range smartphones. But details and specifications about those alleged phones are still not known. 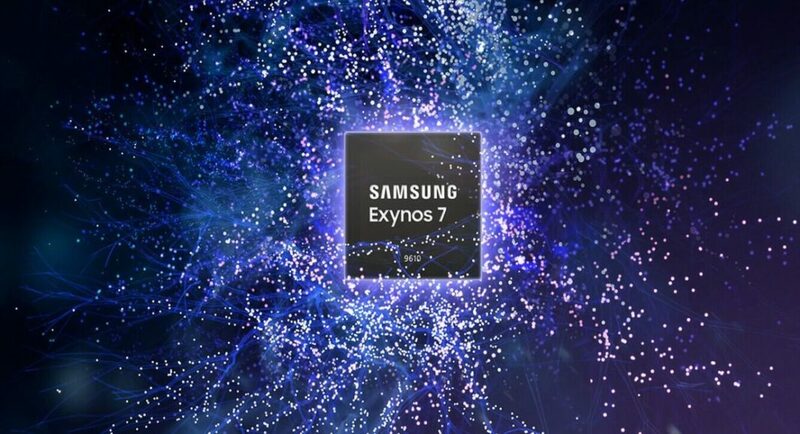 Talking about the chipset, the Exynos 7 Series 9610 has been manufactured using Samsung’s 10nm fabrication process. It is a mid-range smartphone CPU that has an octa-core SoC, which we saw in 2018 March during its launch. It has four Cortex-A73 cores clocking at 2.3GHz. While the other four cores are energy efficient and they are clocked at 1.6GHz. The processor is paired with an Arm Mali-G72 GPU. The Exynos 7 Series 9610 can support 480fps slow-motion full HD video recording and comes with Cat. 12 3CA connectivity with Downlink of 600Mbps and uplink of 150Mbps. It also has Bluetooth 5.0 and face detection. The closest competitor of the Exynos 7 Series 9610 is the Snapdragon 660, which also has an octa-core CPU clocking at 2.2GHz and 1.8GHz respectively. It has Adreno 512 GPU and comes with LPDDR4 RAM. Like its Exynos counterpart it too comes with Cat. 12 3CA with Downlink of 600Mbps and uplink of 150Mbps. Recently, Motorola launched new smartphones in its Moto G series with Qualcomm Snapdragon chipsets in them. The Moto G7, Moto G7 Play and Moto G7 Power comes with Snapdragon 632SoC while the Moto G7 Plus comes with Snapdragon 636SoC. So, it will be interesting to see how the Exynos powered Moto phones perform against their Snapdragon powered counterpart.